Singapore ranks as number 36 in the top 50 countries with the highest coffee consumption in the world, with 2.1kg per capita. It is also renowned for its scientific research and development, so it is perhaps little surprise that they have discovered that in addition to the many health benefits of drinking coffee in moderation, it can also be used to help save lives. 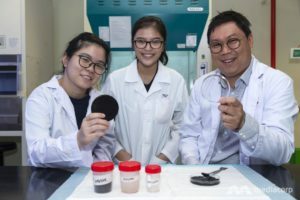 Researchers at the Nanyang Polytechnic in Singapore have developed a new flame-retardant material by mixing epoxy resins with coffee waste. After nine months of hard work, Dr Henry Leung and his team of three final-year students achieved the perfect ratio of epoxy, a chemical binder, to coffee waste. The combination has been shown to reduce the spread of flames from a fire, with the potential of significantly improving fire safety in households and workplaces. “After we did the first burning test with the coffee-epoxy resin and the results came out, I took a video and watched it many times, but I still couldn’t believe that the fire was put out,” Dr Leung said. The team is also proud that the coffee-epoxy resin can help significantly reduce storage space and high energy consumption needed to otherwise grind the waste for compost. The team, which had already achieved great success in 2017 by creating biodegradable plastic from coffee waste, will continue working to improve the current product. How? With a more uniform density and advanced fire-retardance performance thanks to nanotechnology. Stay tuned! Read the full story in Channel News Asia.